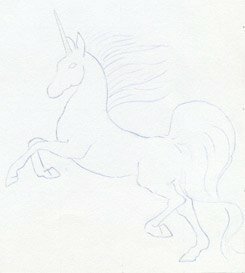 Want To Draw A Unicorn? 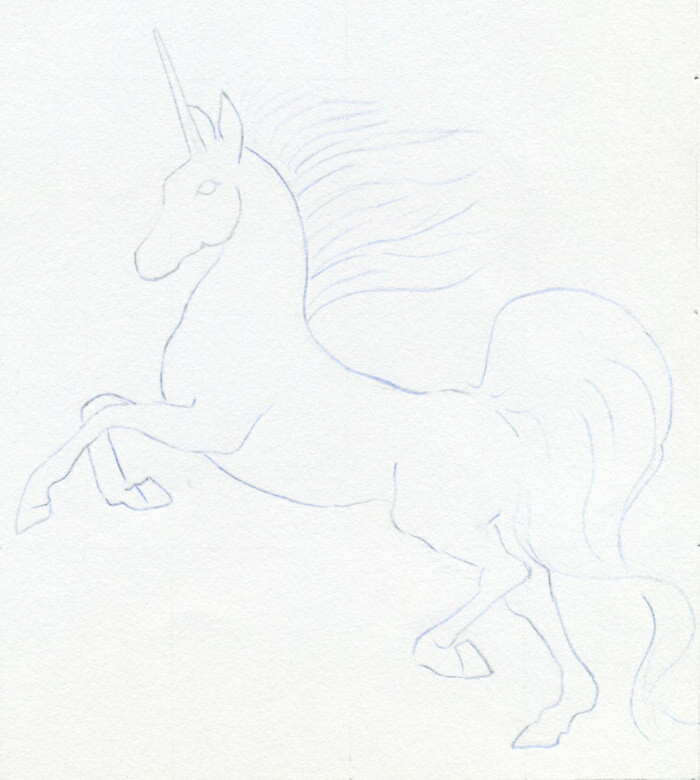 On this page I show you how to draw a unicorn – the simplest way possible. 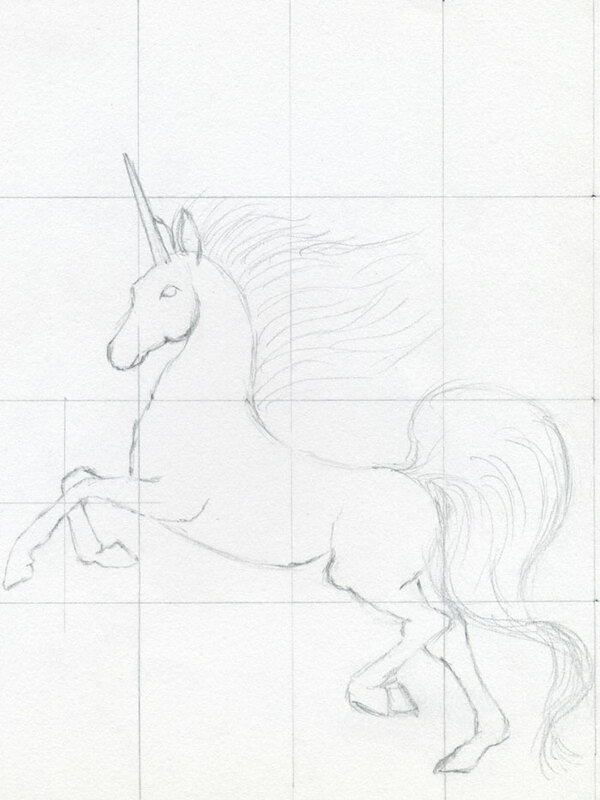 To be honest I didn’t know at first which unicorn to choose as a drawing sample. There are so many of them. I found this image; I guess it is a cover on some book about unicorns. 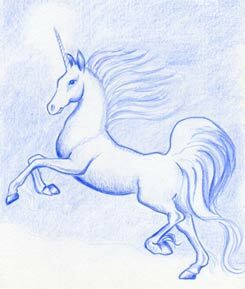 I won’t waste your time explaining useless blah, blah about what Unicorn is. If however, you are really interested, please read more about Unicorn here. Since Unicorn is officially a mythological creature, I decided to draw it all in blue, so that it looks like at night. 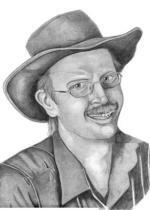 You can do it the same way if you like but a simple pencil will do the job as well. 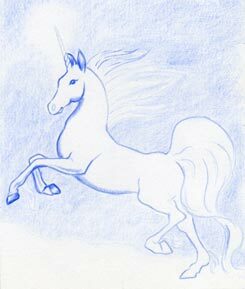 When you are done with this lesson of how to draw a unicorn, your drawing should look similar to this or hopefully better. 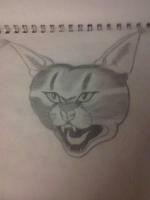 Always do your best to make your drawing better than mine. That is the purpose of learning on this site! 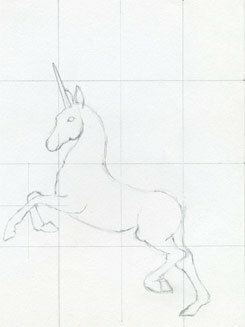 In order to learn how to draw a unicorn even better and faster, let’s use a grid. 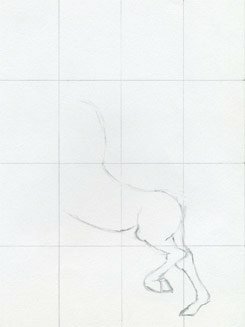 If I may suggest, make your grid squares as large as possible, because you simply learn better to capture the shape. 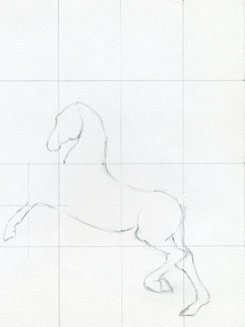 If you have the grid ready, you can begin to draw from anywhere. You simply cannot make it wrong. 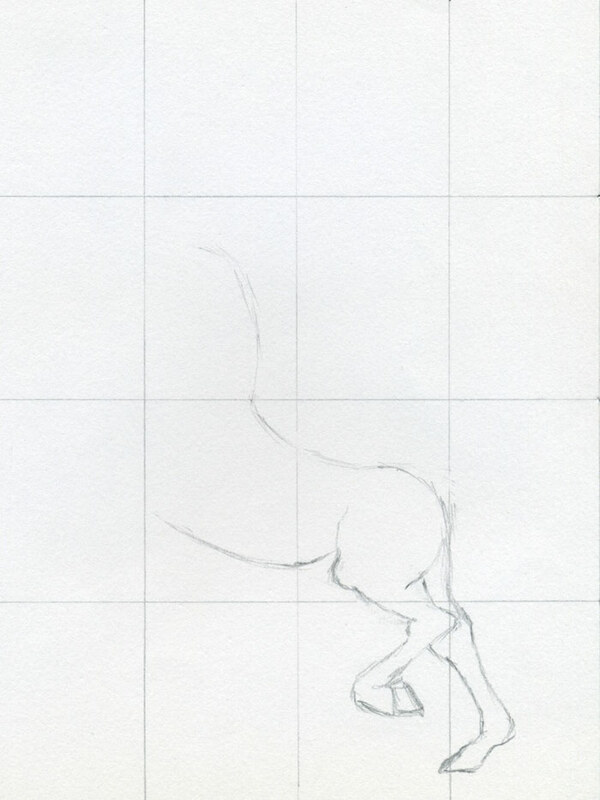 On the front legs part, I made even smaller grid, in order to make the job easier. This is only an example of how you can use grid partially. 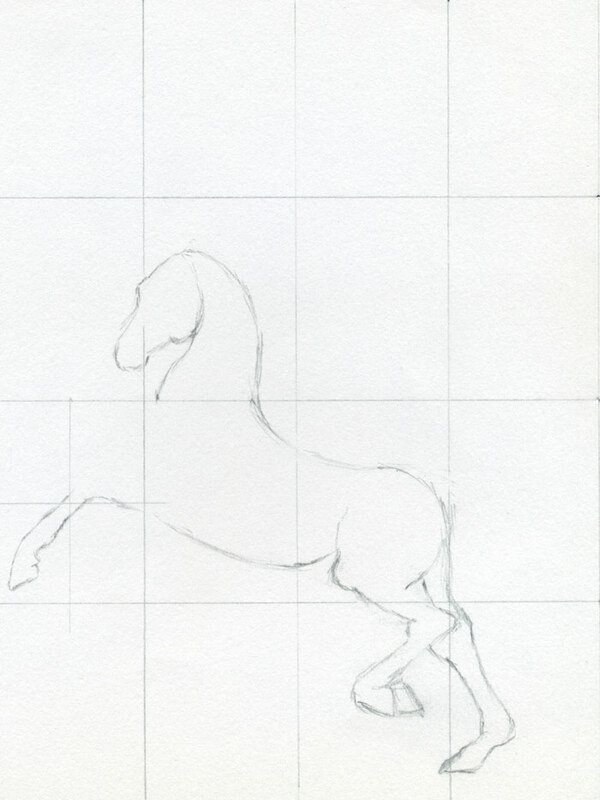 Please concentrate on capturing the outline contours first as exactly as possible. The reason I am saying this is because you have the grid as your little helper. So it should not be too difficult. 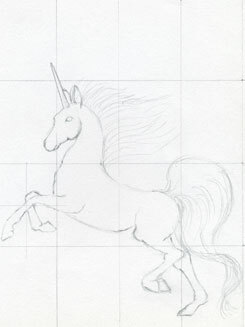 You’ll see by now that it is not so impossibly difficult to learn how to draw a unicorn. Please do not mind if you make some small mistakes by pencil here and there. Use eraser as necessary that is why we have erasers. The process of drawing itself doesn’t matter much. What matters is the end result that is why I am telling you repeatedly don’t mind making mistakes and don’t mind using eraser as needed. Your unicorn is now completely outlined and shape should be well captured. 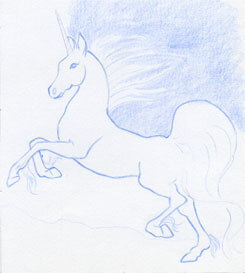 Take a light blue color pencil and outline the complete contours. Draw it over the original graphite pencil lines. Make sure you draw all contours by blue pencil. 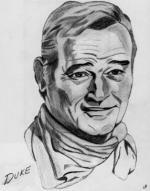 When ready, take an eraser and erase the original graphite drawing. Only weak blue pencil lines should remain after erasing the graphite lines. 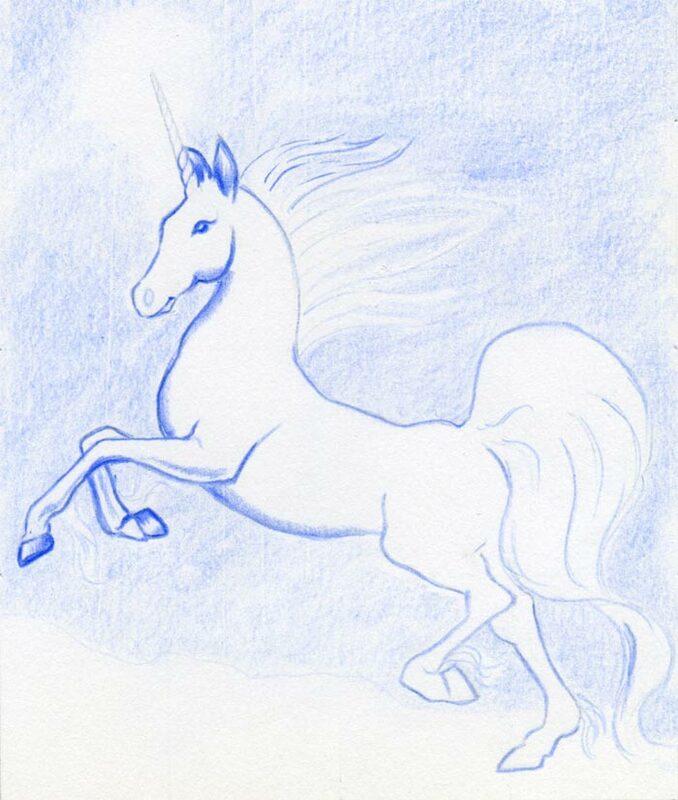 Push the blue pencil a bit more (but gently) in order to create darker blue contours, so that the unicorn will become visible. At the same time you can begin to darken the background sky in blue color. Tilt your pencil and do the blue background coloring by tilted pencil so that the strokes will not be visible. Notice that the area around the tip of the horn is brighter and shining. 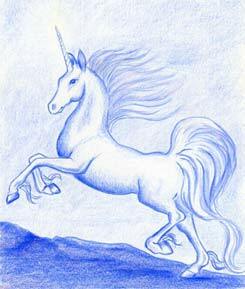 That represents the magic powers of unicorns. 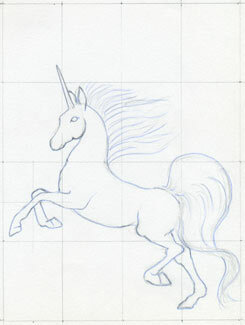 It is good not to forget to enhance that area when you will teach your friend how to draw a unicorn. Continue to put shades on the creature. Note how the belly part is darker on the bottom. 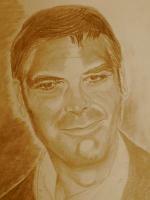 Click on each image to see it enlarged so that you have better idea how the shading is done. 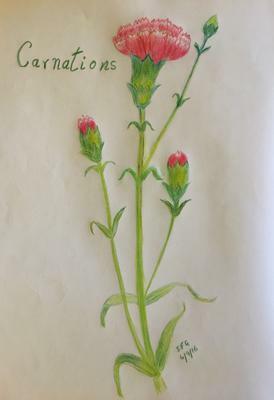 I used different – darker blue tone color pencil in order to distinguish the shapes and shades. Notice, there is a small spot on the eye that remains white. That white point is the reflection of light in the eyes. 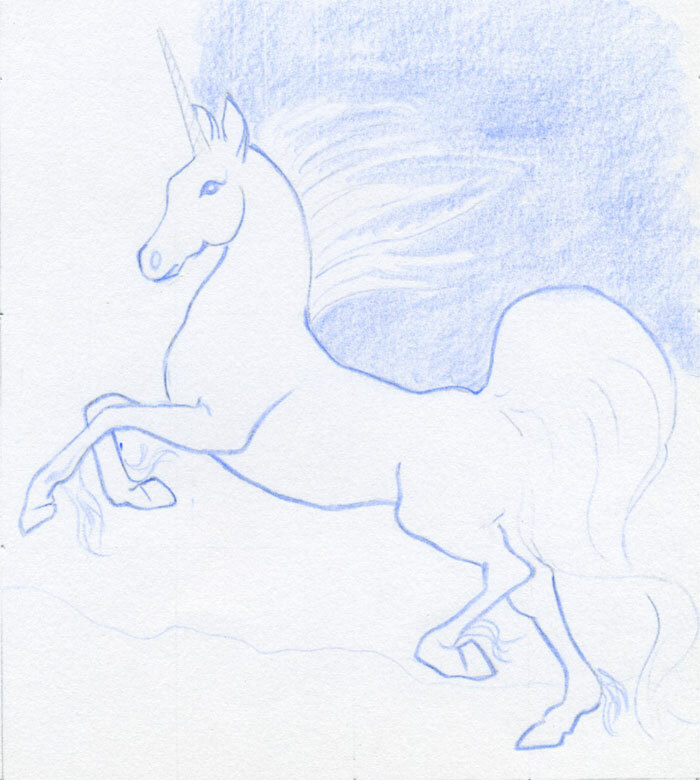 Please leave the area in the middle of the eye white, so that your unicorn will look more realistic and alive. Observe every detail on the ready picture. The shades on the legs. Shades on the body itself. You can create the ground below the animal as you wish. Need not to copy exactly after me. 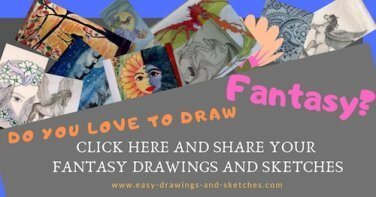 Put your fantasy and creativity into work! You can make it better! Also, you can add - weave other colors like purple or pink into the hair and tail parts, but gently. It should only be a subtle weak color accent. 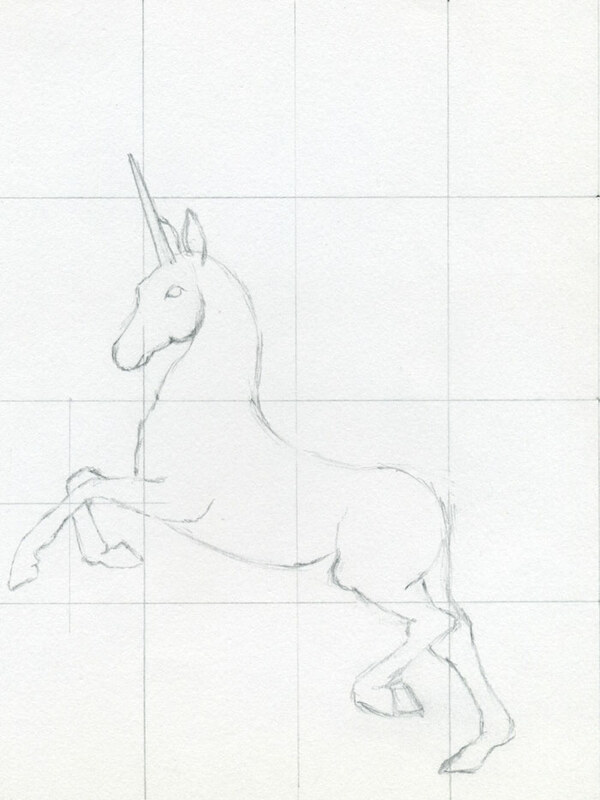 Well, at this stage you should know the basic steps of how to draw a unicorn. I’d love to see your drawing. Notice the dark blue shade under the rear right-leg hoof. This small detail is important so make something similar on your drawing. It will give a three-dimensional impression.